Jollibee and Shakeys mascot dance showdown in Cebu mall - November 29, 2014 Viral Video. 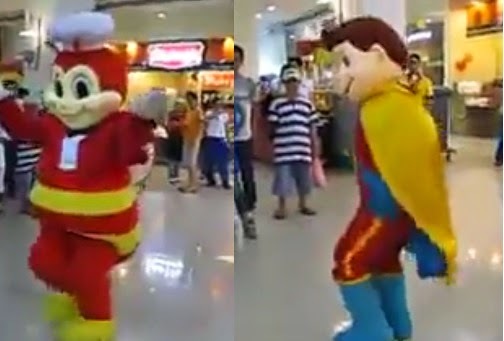 The mascot of two giant foodchains Jollibee and Shakeys show their dance moves to the public. This video was taken in Robinsons Cybergate Cebu.